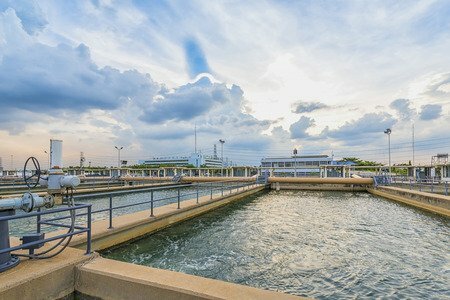 Aging infrastructure in the water industry is posing a massive challenge according to a report from Black & Veatch, an engineering consultancy firm. A different approach to business as well as new investment in the water industry will be essential in narrowing the gap between what consumers expect and what the services actually cost. The report was released on June 6th 2017 and also highlights the importance of sustainability operations and for water industry leaders to be able to adopt a broad range of strategies. Preserving and broadening the longevity of assets in the water industry was the top sustainability issue for water utilities. Many of the survey respondents expressed large interest in collating all data from systems (currently in siloes) to provide economies of scale for the water industry, which in turn would lead to more intelligent asset management and becoming more operationally efficient. The report highlights that water providers are more focussed on moving forward in a sustainable manner rather than follow finance-driven ideas. This relates to the fact that consumers as well as government are generally becoming more willing to conform to rate increases if this leads to critical infrastructure improvements being carried out. This has also led to a higher level of confidence in funding from the Water Infrastructure Finance and Innovation Act. If you’re looking for a self-sufficient alternative to mains water with a return on investment between 1 – 3 years get in touch for a bespoke solution to suit your agricultural business. Agrismart also offers water management tailored to agricultural land to potable water standard (drinking water for human consumption) treated with our chlorine dioxide water treatment. Allowing for a self-sufficient alternative to mains water saving you 75% off your water bill and offering a return on investment in under 36 months. We have water pumps that can be used to pump water from a water source on your agricultural land to a water storage tank.